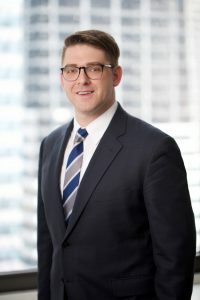 Iselin, NJ | April 11, 2019 Offit Kurman is pleased to announce today that Thomas J. Major has joined the firm’s offices in Metro Park, New Jersey. Mr. Major will serve as a Principal-level attorney with the firm’s Landlord Representation Practice Group. He is one of five attorneys joining Offit Kurman in New Jersey, New York, and Pennsylvania this week. Thomas Major is a dynamic, entrepreneur-driven attorney dedicated to representing clients across a range of practice areas. He maintains practices in real estate law, ranging from landlord–tenant issues to land use. New York and New Jersey have highly specific and nuanced property laws that affect nearly every activity on real estate. From landlord-tenant relationships to zoning, variance, and land use compliance, property owners must be careful to follow the full range of applicable laws. For most, these laws interfere with managing or improving their property according to their vision. Mr. Major provides advice, counsel, and advocacy across this wide spectrum ensuring that property disputes are resolved efficiently and effectively. By addressing problems the right way the first time, Mr. Major helps property owners avoid costly delays in an effort to get back to business. As an advocate for consumers and tenants, Mr. Major ensures that those injured by unlawful practices are vindicated. He protects consumers and tenants against the use of any unconscionable commercial practice, deception, fraud, false pretense, false promise or misrepresentation by businesses or landlords. The laws of New York and New Jersey provide broad protections to consumers and tenants and Mr. Major is here to ensure those protections are effective. To learn more about Tom Major and to get in touch with him, please visit his attorney page. More information about Offit Kurman’s comprehensive legal services can be found here. For details and directions to Offit Kurman’s offices in New Jersey, New York, and Pennsylvania, click here.